It's time to put the kayfabe back in wrestling. Join me each week as I take out the criticism everyone has and just purely talk about shows, upcoming cards, and fantastic memories of pro wrestling/sports entertainment. Anyway you slice it, it's still the best entertainment going! Welcome to The Better Half. Join Frank the married guy & Larry the single guy as they discuss the pros and cons of being single and being married. Two longtime friends leading two different lives. They discuss everything from relationships, Movies, TV, kids, dating and everything in between. Help them decide, who has... The ... See More Better Half. 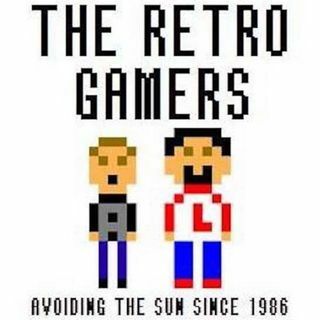 Anthony and Larry here to bring you our memories of a time long forgotten but slowly seeing a light of day in the world of video games. Blow off the dust from the carts. Get your wires untangled. We about to go retro!!! Are you both? One can't exist without the other. Join former 2x USW Heavyweight Champion and martial artist Anthony Chu and current reigning USW Transcontinental Champion Larry Mohrmann as they discuss everything martial arts related: Combat Sports, traditional arts and MMA, pro wrestling, fitness, ... See More motivation and so much more! You never know what we'll discuss next, who might show up, and who we'll rip apart! So if you don't want to be Chu'ed out,.............. THEN LISTEN AND SUBSCRIBE NOW!